Printed envelopes are our speciality, get your free quote today by following this link. We supply some of the biggest names in Europe in the commercial, public and private sectors, and some of the smallest names in the domestic market, making us one of the country's biggest, established and always fully stocked suppliers of wholesale trade envelopes. We are continually updating our stock in line with the market demands of fashion, function and fitness for purpose and matching these with the fiscal constraints of your business. 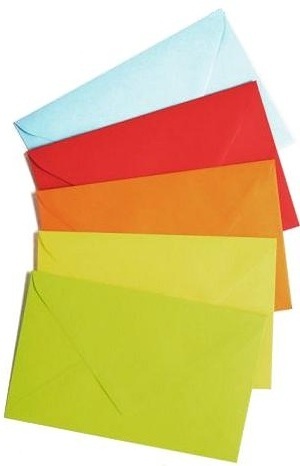 * envelopes in stock we have colours from vibrant, intense and pastel envelopes through to the UK's largest selection of metallic, pearlescent and translucent coloured envelopes. * we aim to be always be massively stocked on all the envelopes we have published here, therefore no wholesale envelope order is too big for us. We can supply from 1 box of envelopes to several pallets. Keep informed of all our latest special offers and updates.